Thanks for this, I've always found carandclassic to be the least user friendly listings site in existence, so to have somebody else go and mine for treasures is great! I know what you mean... it is woefully outdated. On the other side though, I do really like the ability to carve into the search criteria by price, brand, classification, age, region etc. A good session on C&C via a laptop can easily lose me two hours without blinking. It is a terrible site to use on mobile hardware though. It's also the only place I feel comfortable selling a car. I don't think I'd ever want to subject myself to the slings and arrows of ebay for selling. I buy off ebay, but I sell on C&C. 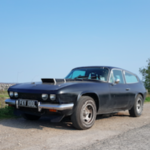 Sorry, I feel the need to vent: My most common search on gumtree and ebay is something like classic cars under £3k within 50 miles of my house. Which to me seems like a sensible kind of thing to search for. But unless I'm missing something you just can't do that on C&C. Firstly you can't search by distance, you have to go by region, which unless you live slap bang in the middle of the county is pretty useless. I can think of about 5 or 6 counties within 50 miles of my house. So you have to search them all even though due to the size and shape of counties most of the cars will be more than 50 miles away. Well yes, you're absolutely right on those things.... it is general region rather than X miles away... but for me personally if I like a car I'm willing to travel so my initial investigations aren't usually limited by a specific mileage. I do take your point though, it is all brackets rather than specifics, but I do quite like browsing there as a time-sink activity. I'll start off thinking "What can I get from the 1940's for under £1000 in Sussex" and then three hours later I've gently transitioned the brackets to find myself considering stuff from the 1980's in Belgium for £10k. Toyota Camry 2.0 GLi Executive (auto). Middlesex. £1,300.00. 1988. Full MOT. Drives. History, modest mileage. 1987. Drives. TWR body kit. Modest mileage. No MOT. XJS' in this price bracket generally appear to be in far worse condition than this car. Austin Ambassador 2.0 HLS. Liverpool. £1½K. Driving. No MOT. Looks to have been off the road for some years. One of only 11 left in the UK. 1987. Full MOT. Low mileage. 1983. Low mileage. Long MOT. 1951. MOT exempt but requires attention. 1969. Low mileage. One owner. Engine rebuild. Very handsome! No MOT, looks to have been off the road for a decade or more. I always loved the DS Pallas estates! 1971 3.3 litre straight-six, super-deluxe version of Cresta which was once Vauxhall's flagship model. Low mileage, garaged 15 years. Interestingly the South African version was fitted with a Chrysler V8, so, an upgrade option. 1998. Rare manual. Full MOT. Drives. 1955. Desireable split screen 2 door for full restoration. 1972. Runs. Needs paint and finishing. 1953. Garage find, laid up since 70's with much work done. Continue to love your finds and posts. It's refreshing to see there are still some affordable classics out there. Thanks for the thought but I've not managed to fill the Hunter to capacity, so who needs a van ? 1984. MOT expired but no horror stories in MOT history. Low mileage. Elderly lady owner. 1967. 850 for recommissioning. Family owned. Modest mileage. MOT exempt, MOT history worth a check. This is very cheap for a Mk 1 Mini which isn't rotten. For recommissioning. Looks to have been off road for about 8 years, very clean MOT history with mileage discrepancies. 2 cars at £7K. 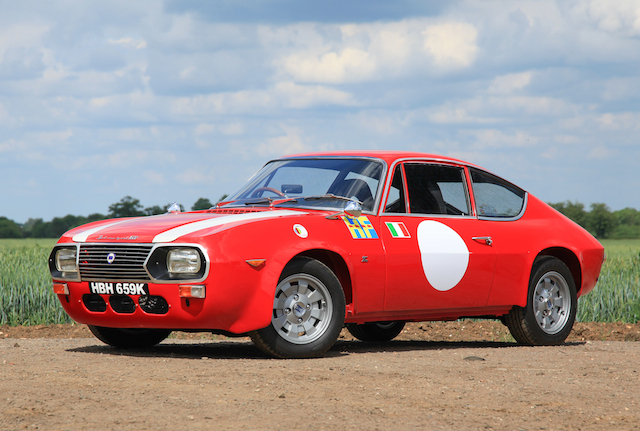 Could have a combined value of £50-£55K after restoration. Show season is over, the world and his wife are offloading their automotive treasures . . .
1990. Drives well, full MOT. 1998. Drives well, 6 months MOT. Would make a practical everyday retro load-lugger. 1997. Low mileage. Drives. Long MOT. 1 owner. FSH. High spec. Lancia Y10 LX Fire. London. £1K. 1987. Drives. Low mileage. Full MOT. Alcantara. A city car with a twist! 1987. For recommissioning / water pump. No MOT. 1977. For recommissioning. No MOT (exempt). Low mileage. Has 2 litre TR7 TC engine. 1989. Full MOT. Drives. High spec. 1949. Very original. 2 owners, mothballed 30 years. Drives. No MOT, (exempt). 1960. Low mileage. Drives. Some MOT (exempt). 1972. Driving. Long MOT, (exempt). 1951 for recommissioning from long term storage. 1972. Drives. Full length sunroof. Looks to have been off the road for a decade. No MOT, (exempt). 1988. Modest mileage. Drives well. Long MOT. Iconic, rare & capable off-roader in 7-seater configuration. Big fully-loaded Teutonic luxo barges for not a lot of dosh! 1997. Drives well, long MOT. 1991. Drives well. Long MOT.